Jennifer Street, a graduate of both East Tennessee State University and Florida State University, holds a bachelor’s degree in Social Work and a master’s degree in Clinical Social Work. She has been in the field of social work for over a decade and is a Licensed Clinical Social Worker through the State of Florida. Specializing in trauma, as well as adolescent and women’s issues, Ms. Street has worked with all different types of concerns including depression, anxiety, eating disorders, self-injury, and abuse recovery. She spent three years working in a gender-specific adolescent girls program, and another three years working as the Program Coordinator for a domestic violence outreach center where she specialized in domestic violence advocacy and intervention for victims. Additionally, she has facilitated addiction recovery and adolescent groups and has also specialized in trauma treatment for veterans and their families. 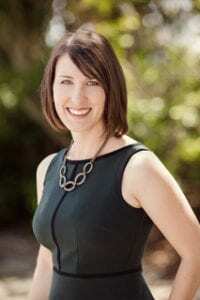 As a clinician and an educator, Ms. Street has worked as an adjunct professor at the University of South Florida, St. Leo University, and Liberty University. She is an ACAT Coordinator, a certified trauma professional and is trained in both the EAGALA method of equine assisted learning and therapy and level one of Gottman Couples Therapy. Ms. Street currently offers counseling through Life Renewal Counseling, a private outpatient counseling practice founded by Ms. Street in 2009 and is the Houston Retreat Team Leader for the Lone Survivor Foundation.